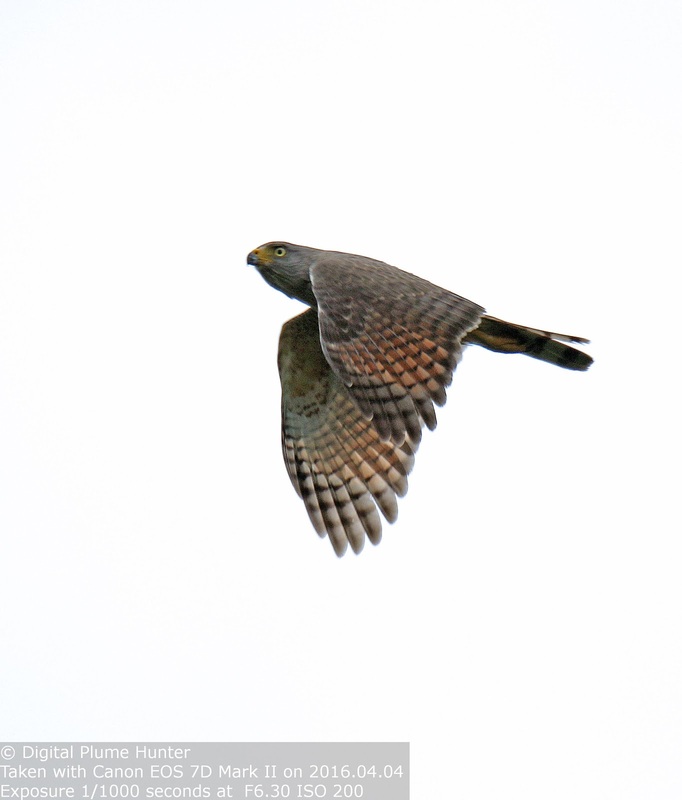 A little known fact is that Botanical Gardens are not only ideal for studying plants and shrubs but also great venues for encountering the local avifauna. 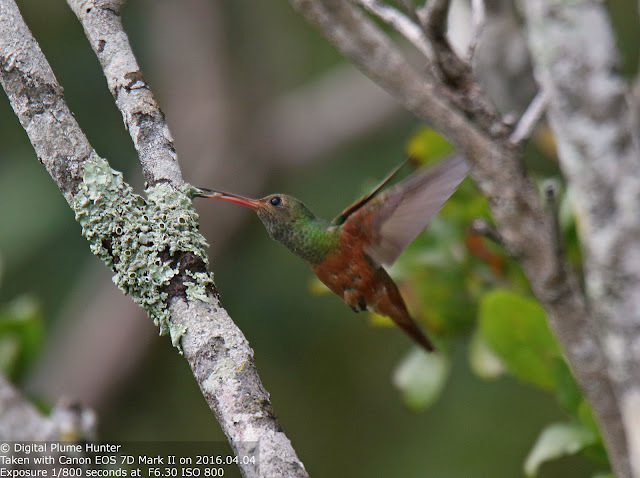 This tip has proven beneficial to this blogger before -- the astute reader will recall the blogger's earlier trip to the Island of Hispaniola where an assortment of Caribbean specialties were successfully observed at the Jardin Botanico in Santo Domingo. 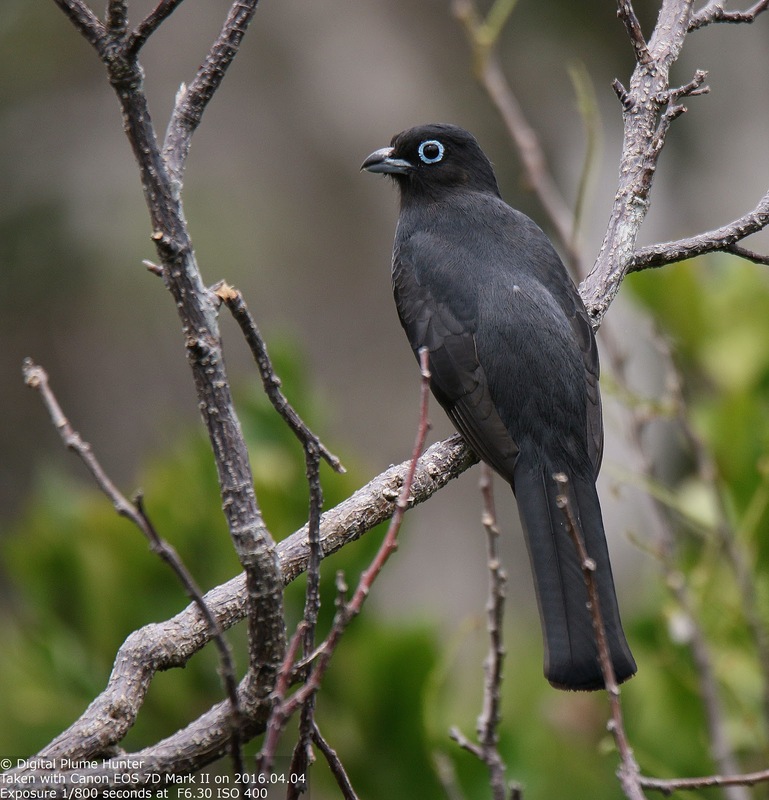 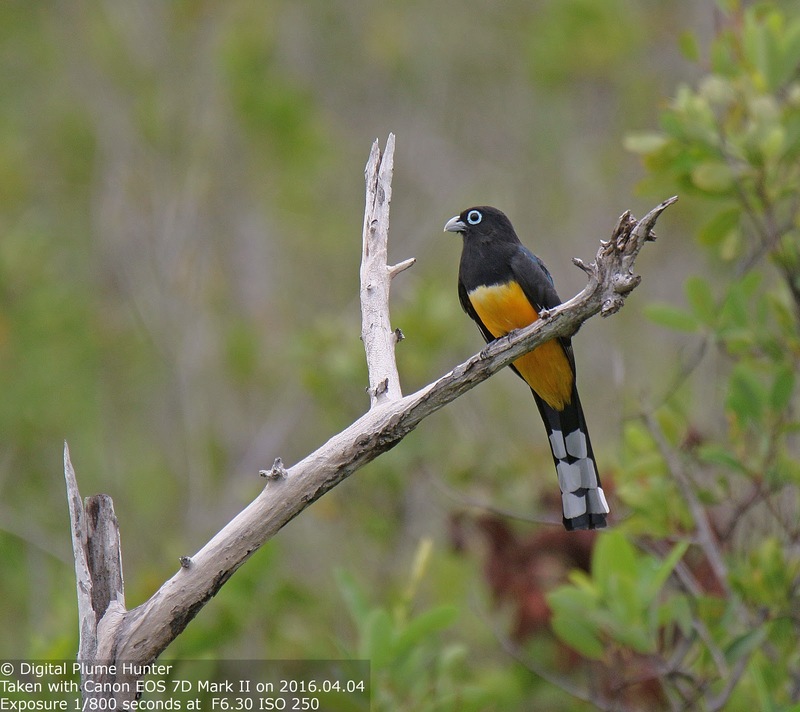 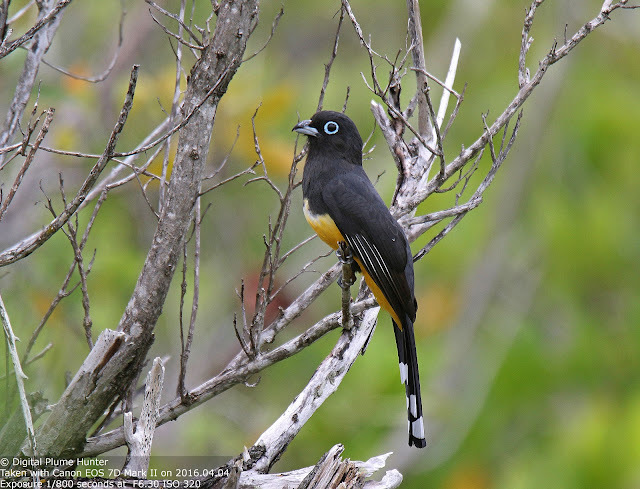 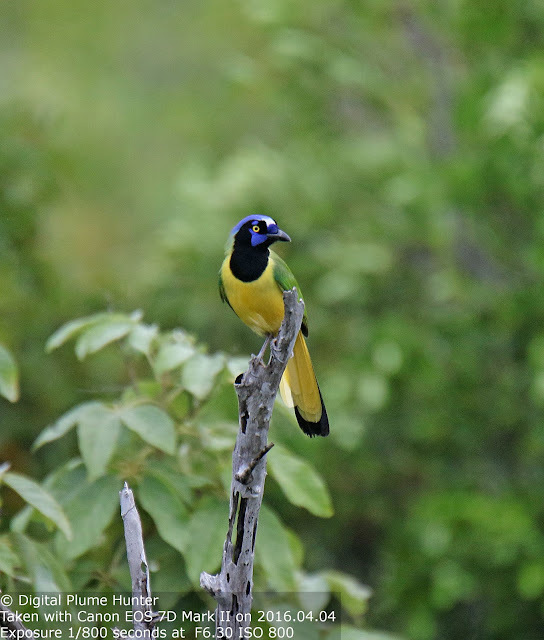 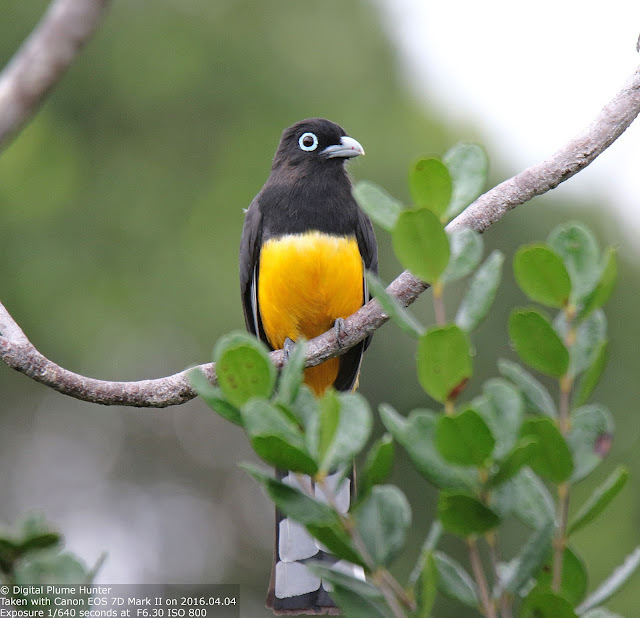 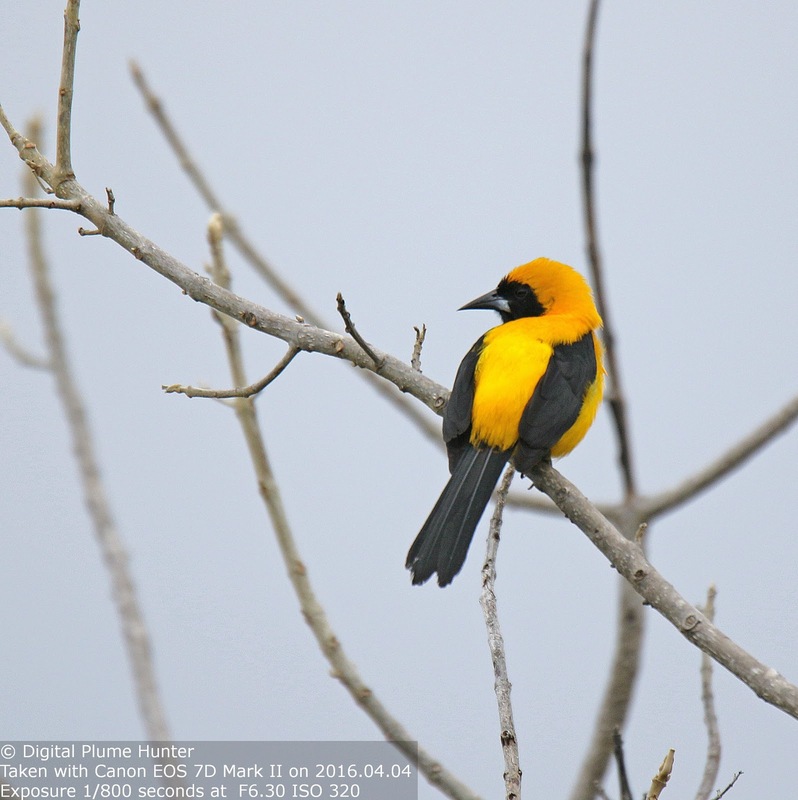 The sighting of a trogon is always a special event and the Black-headed Trogon's striking color combination of yellow, black and blue-green is truly a sight to behold. 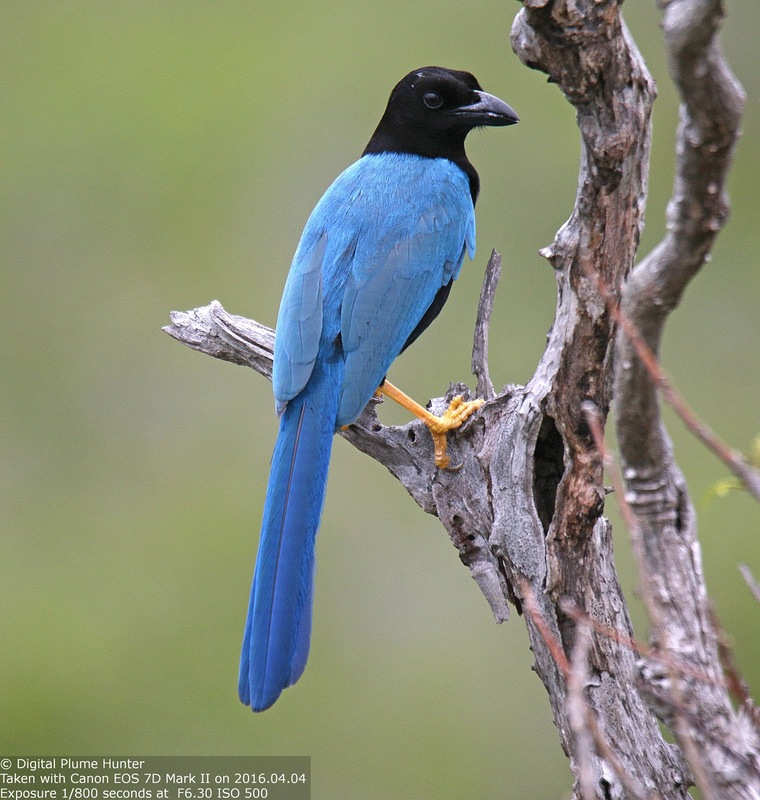 The Jardin Botanico was not wanting in corvids -- indeed, all 3 expected Jay species were observed: Brown, Inca and Yucatan Jays. 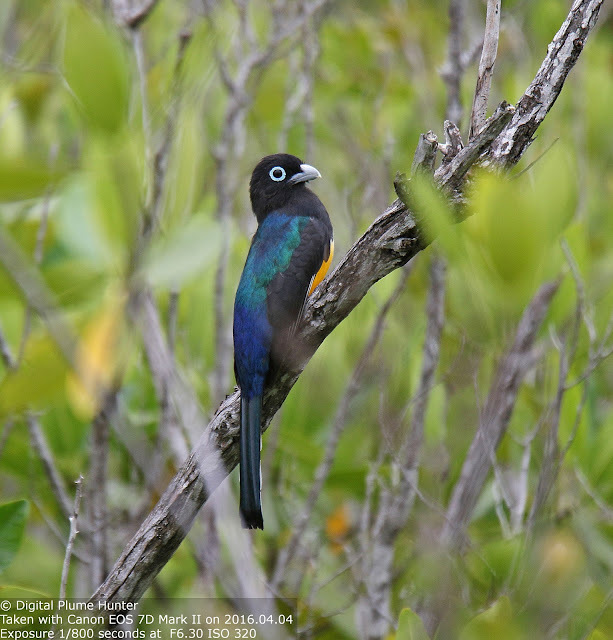 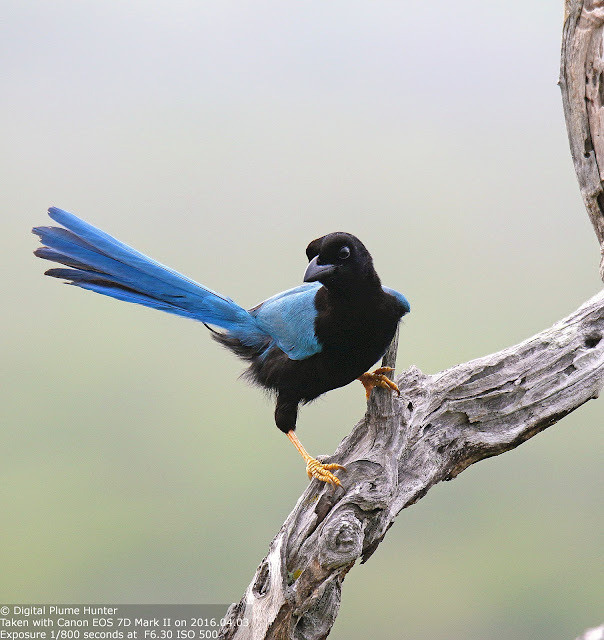 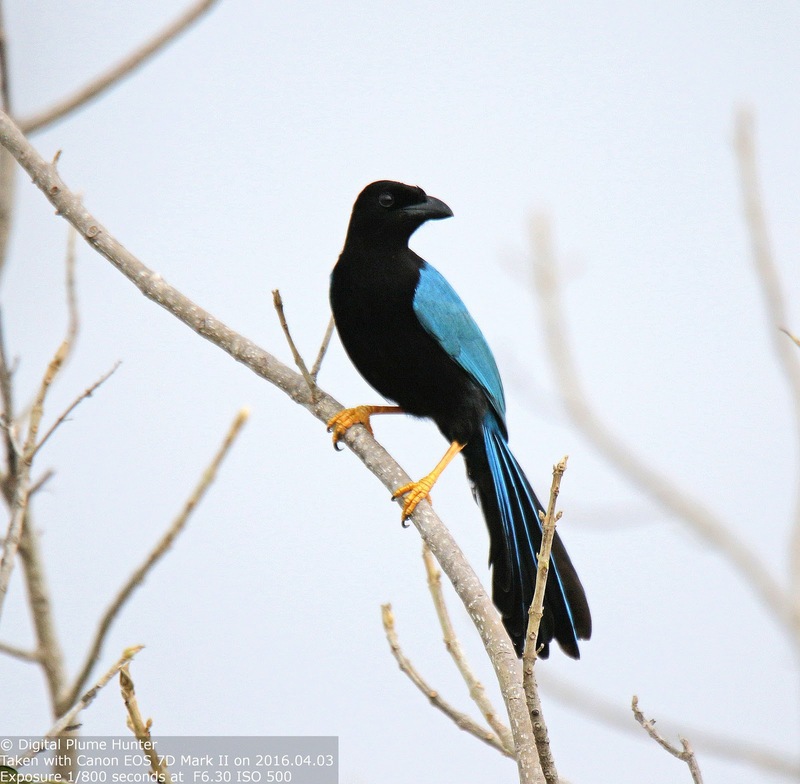 The Yucatan Jay is another striking species with yellow legs, black body and a brilliant blue back and tail. 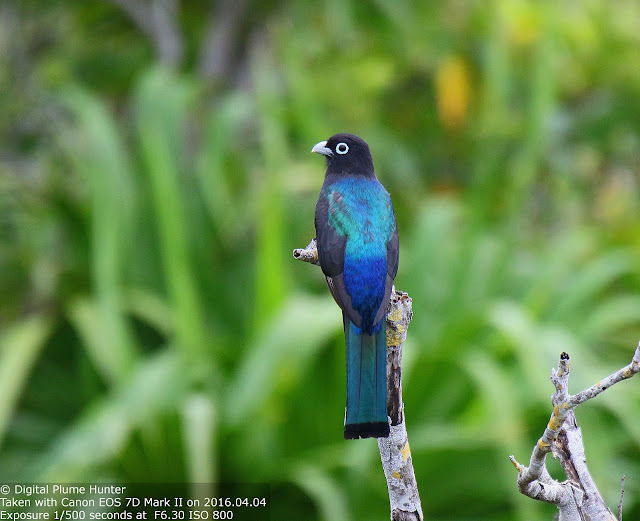 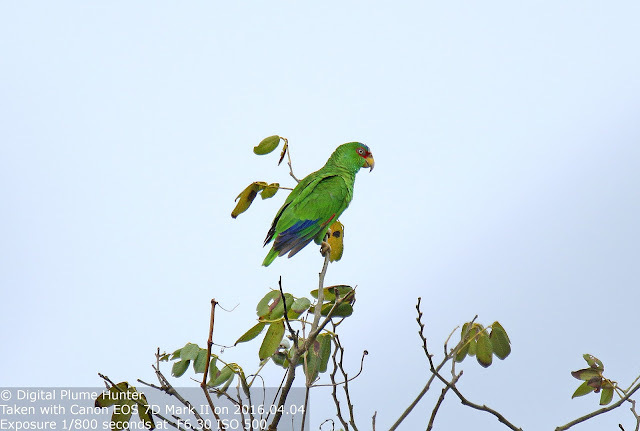 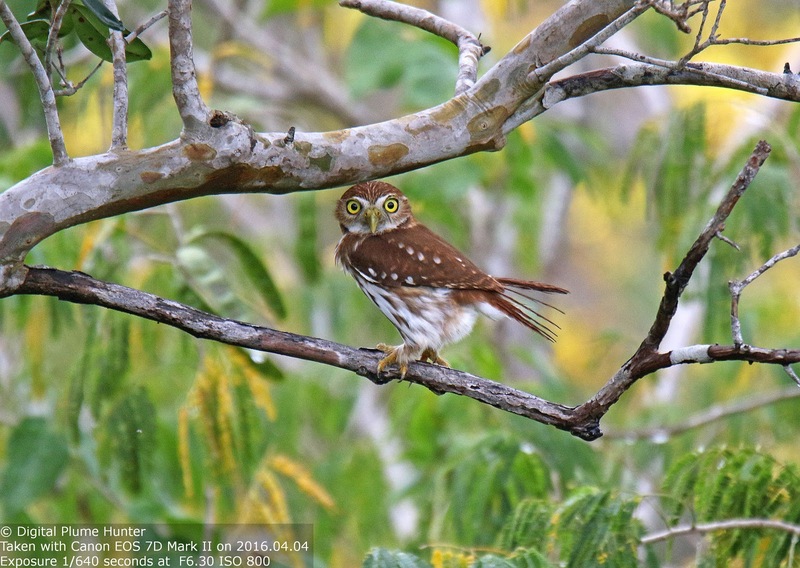 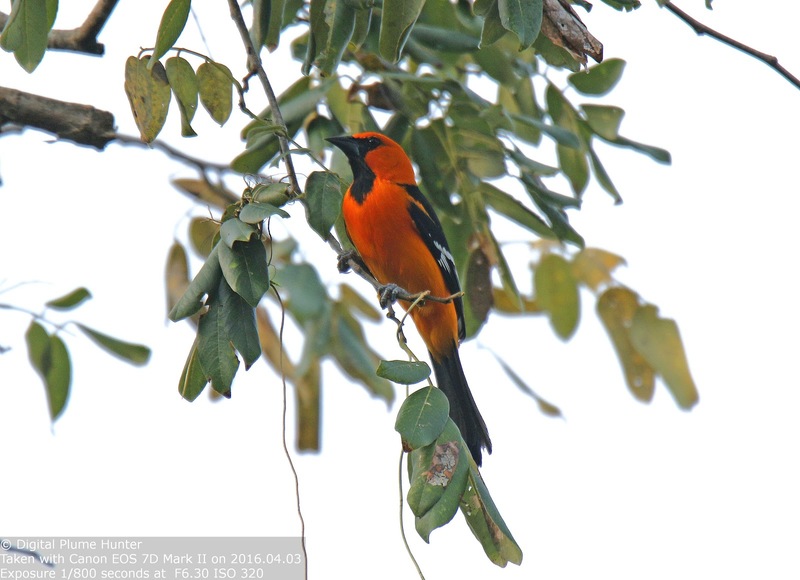 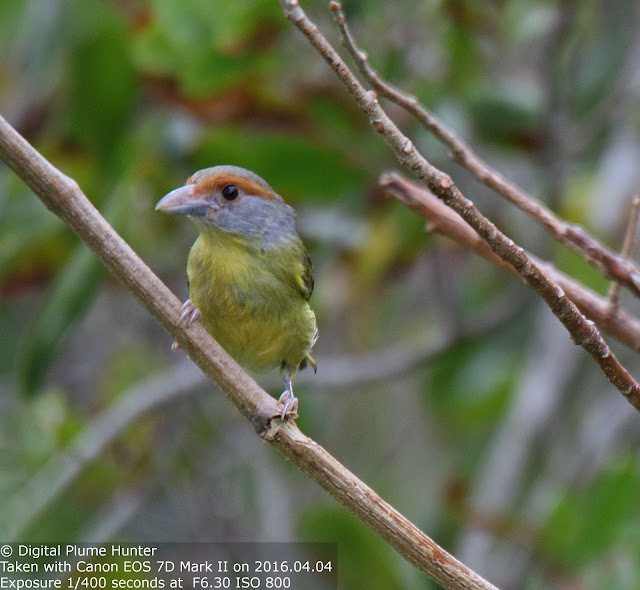 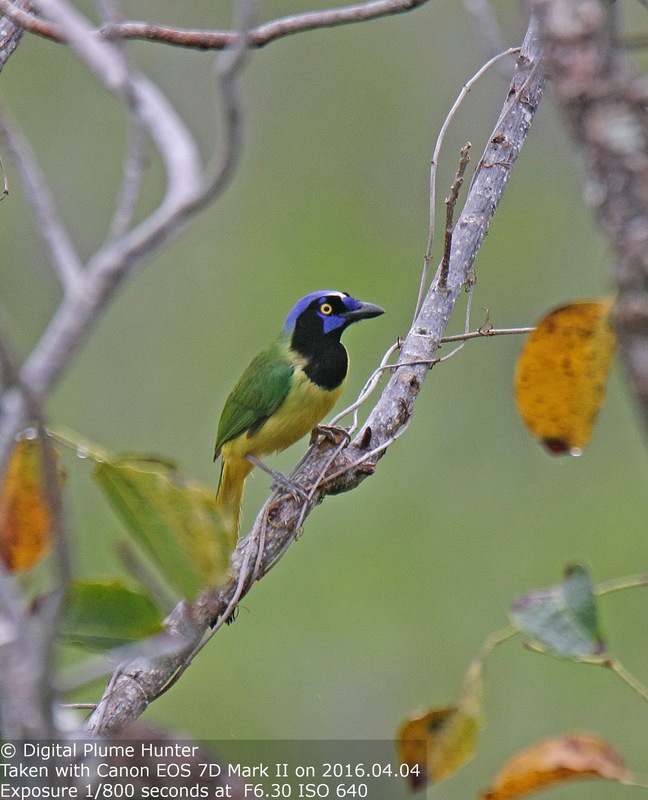 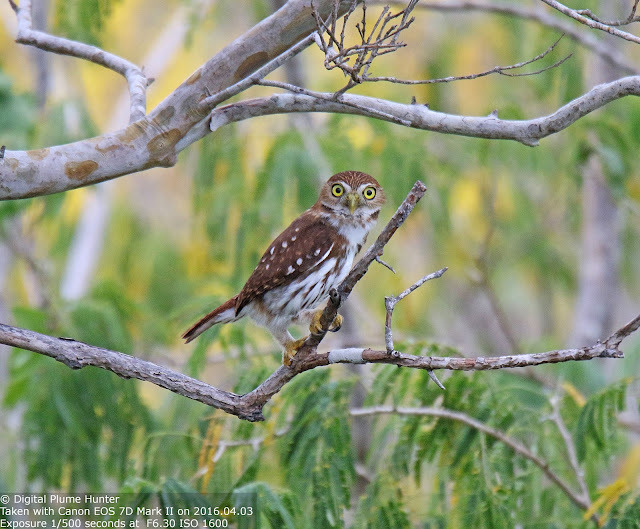 Easily accessible and possessed with multiple avian delights, the Botanical Gardens in Puerto Morelos should be on every intrepid birder's itinerary in the Yucatan where fantastic species such as the Yucatan Jay, Black-headed Trogon and the White-fronted Parrot may be enjoyed in full measure. 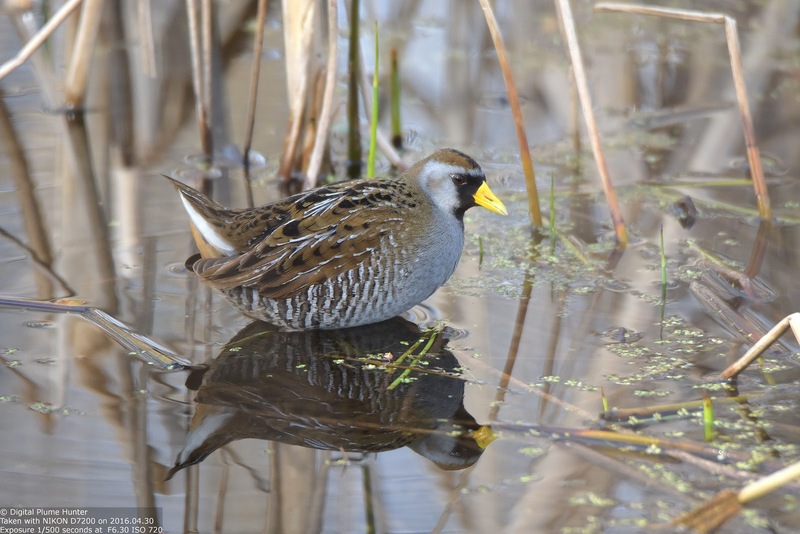 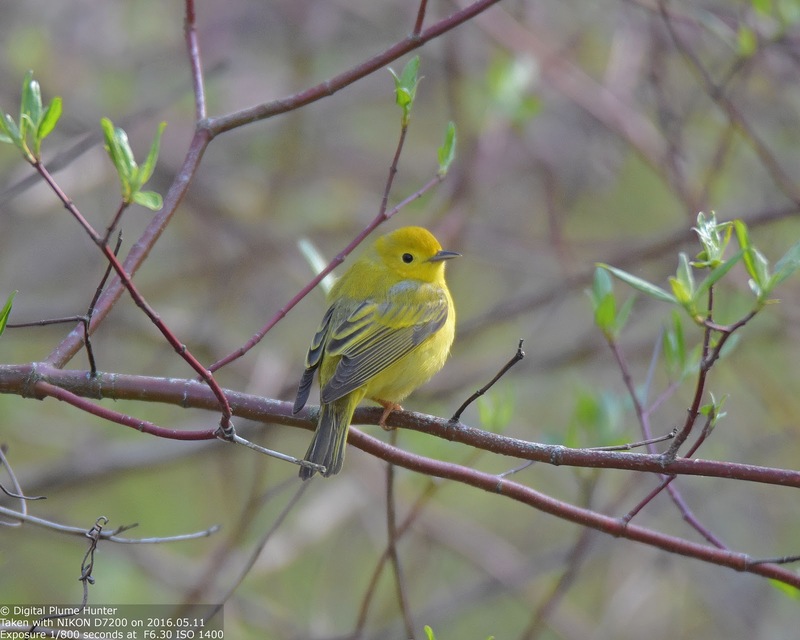 As if to atone for Michigan's long, hard winter, the arrival of Spring transforms, what had been a largely bird-barren landscape, to feathered life -- unfrozen water beckons waterfowl while marshes attract rails and wrens. 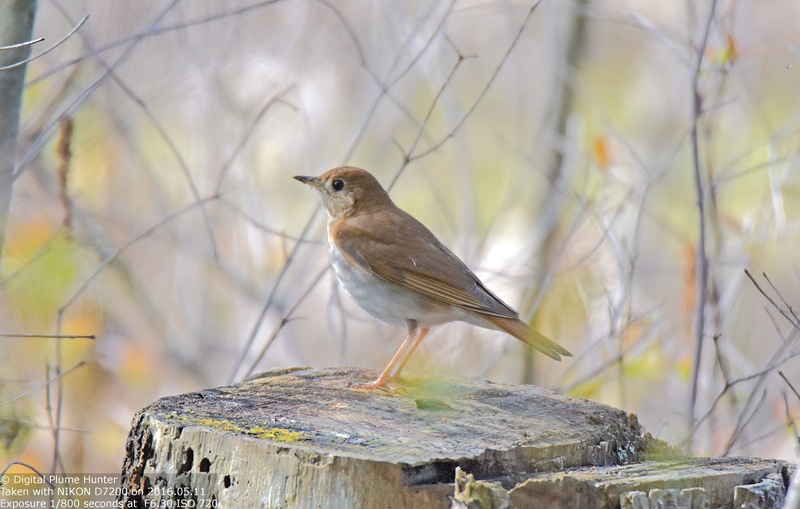 The forest floor and grasslands sprout thrushes, blackbirds and sparrows. 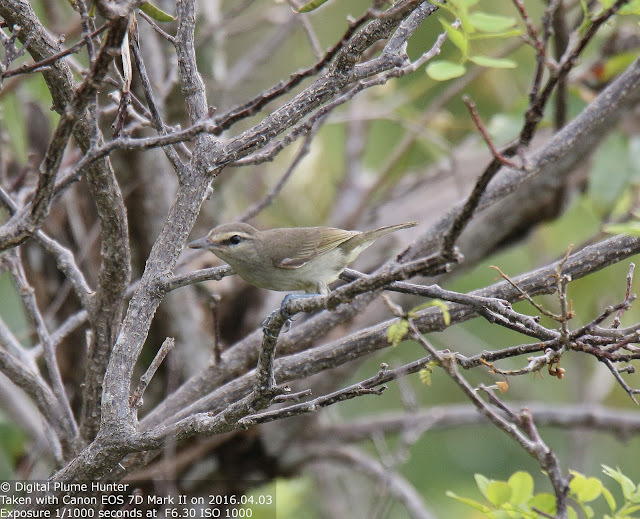 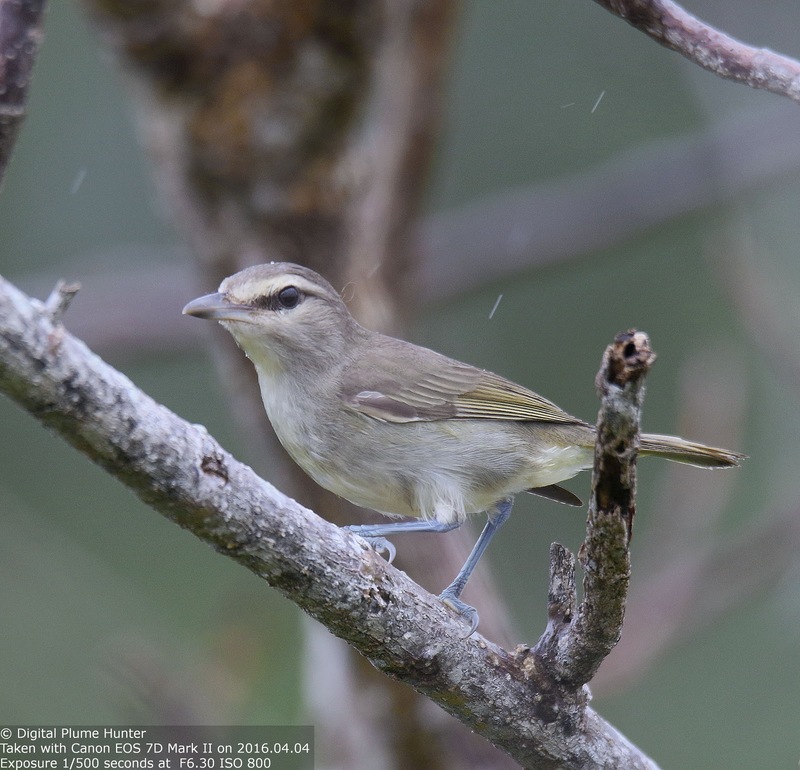 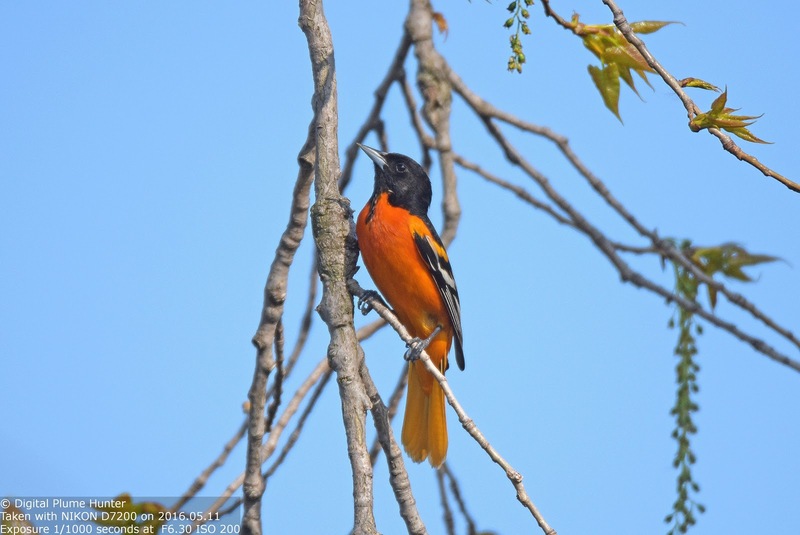 With such an explosion of avian life, Lake St. Clair is nothing short of a miracle of renewal which, in turn, invites birders to explore its resident as well as migrant species. 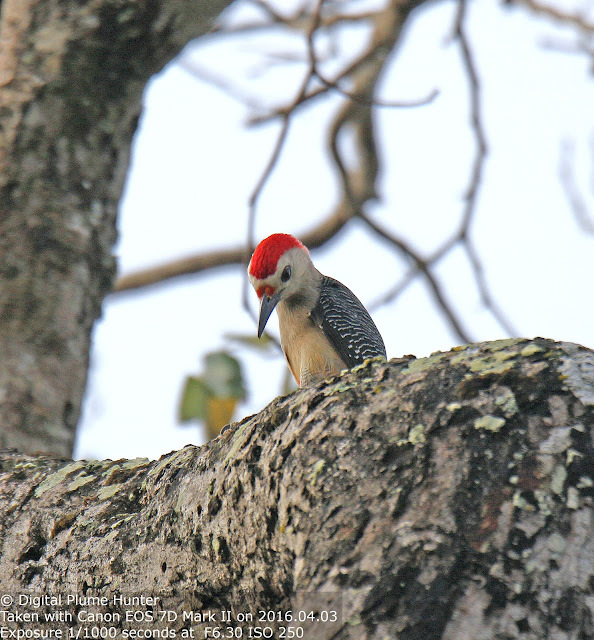 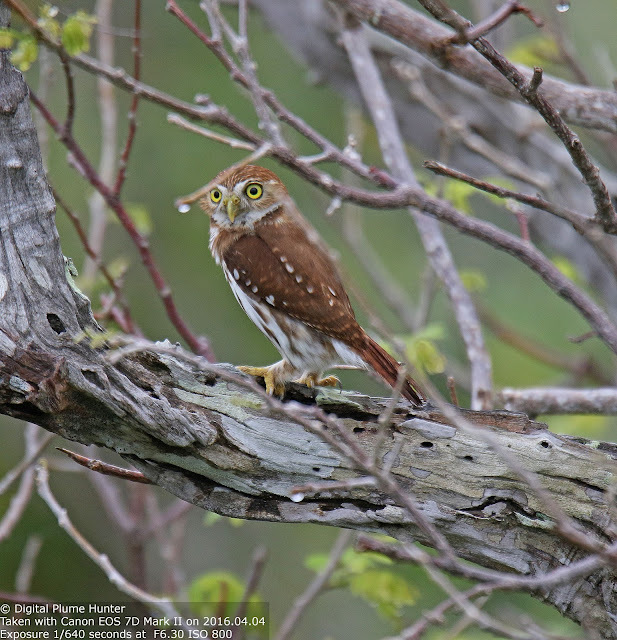 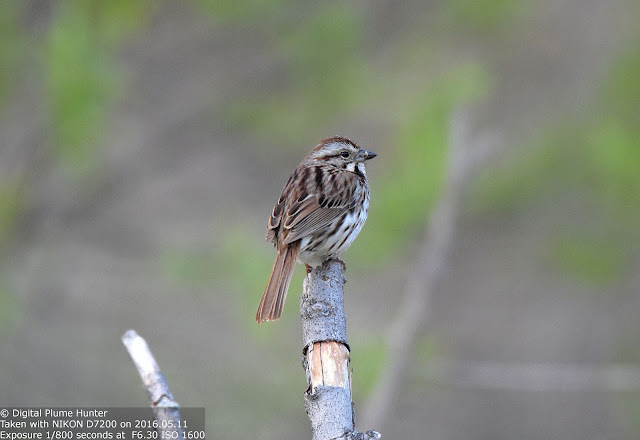 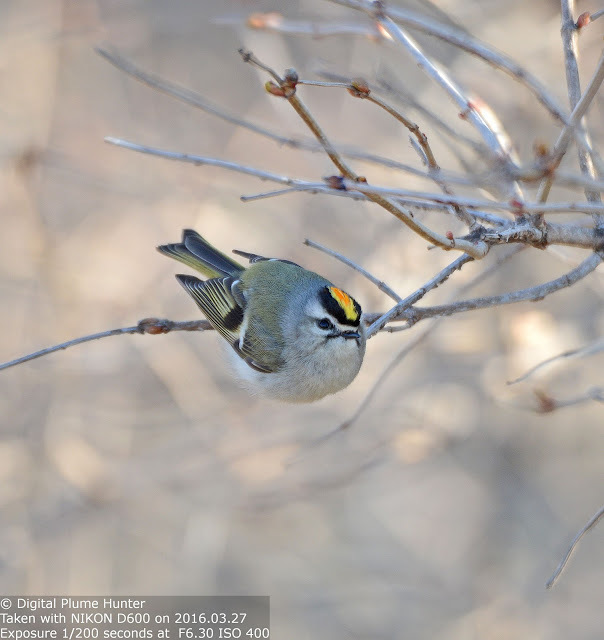 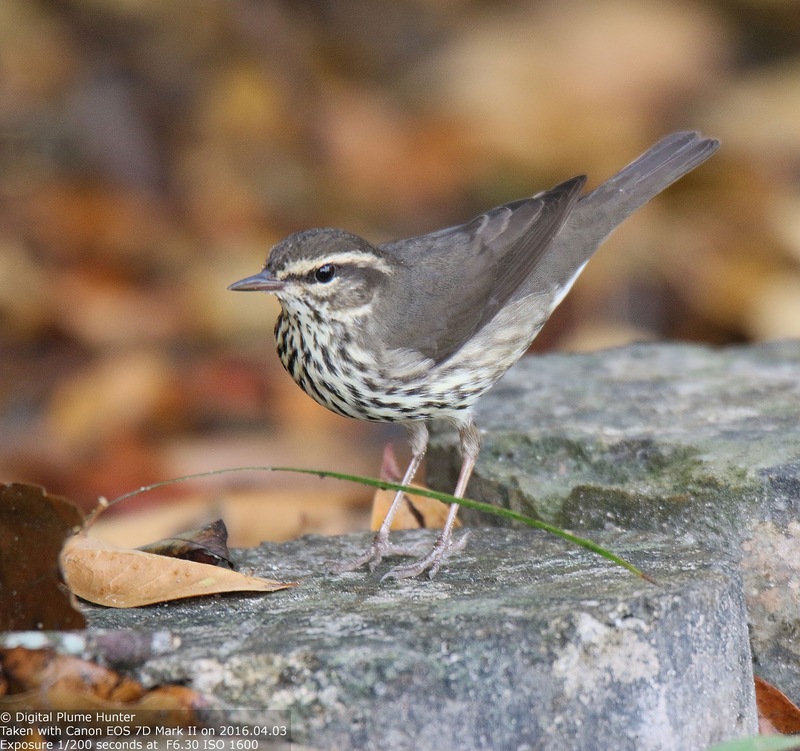 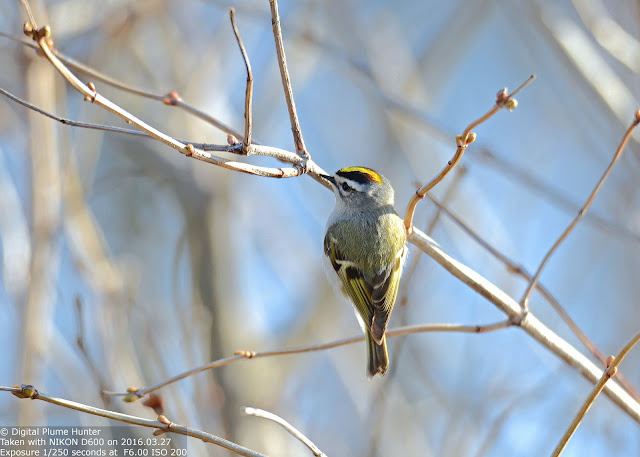 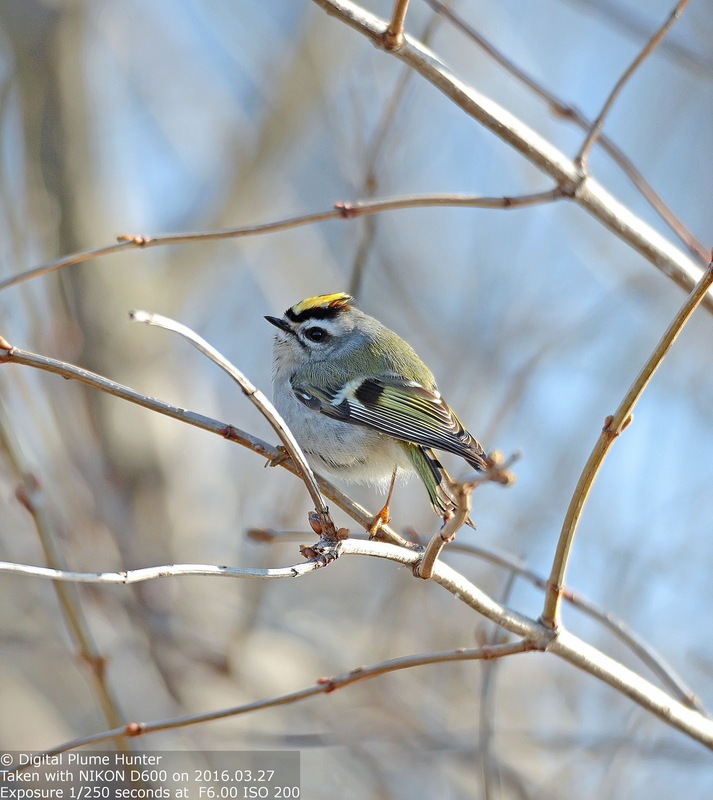 Signature species such as Wood Thrush, Wood Duck and Golden-crowned Kinglet herald the changing of the seasons. 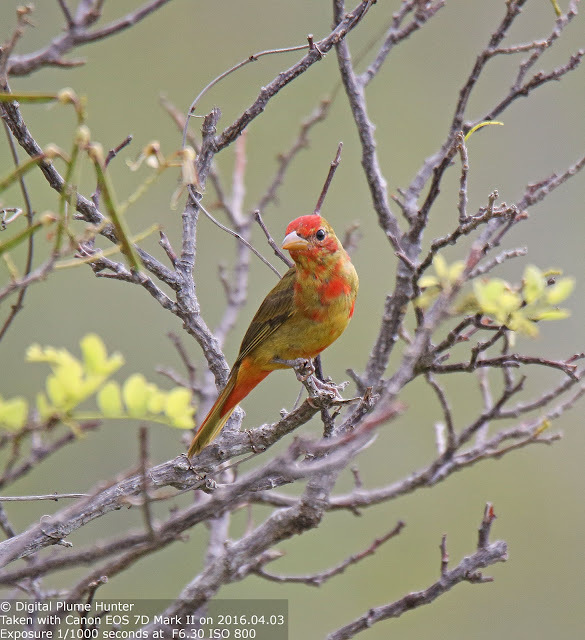 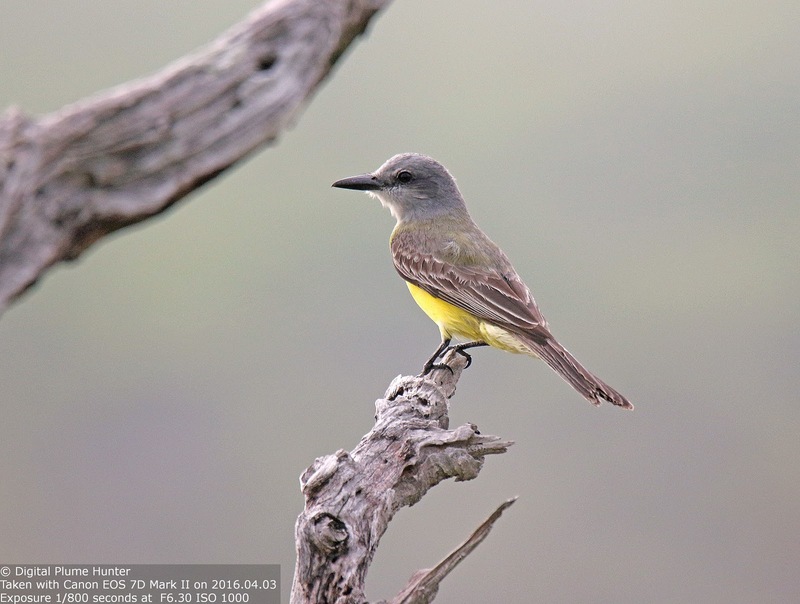 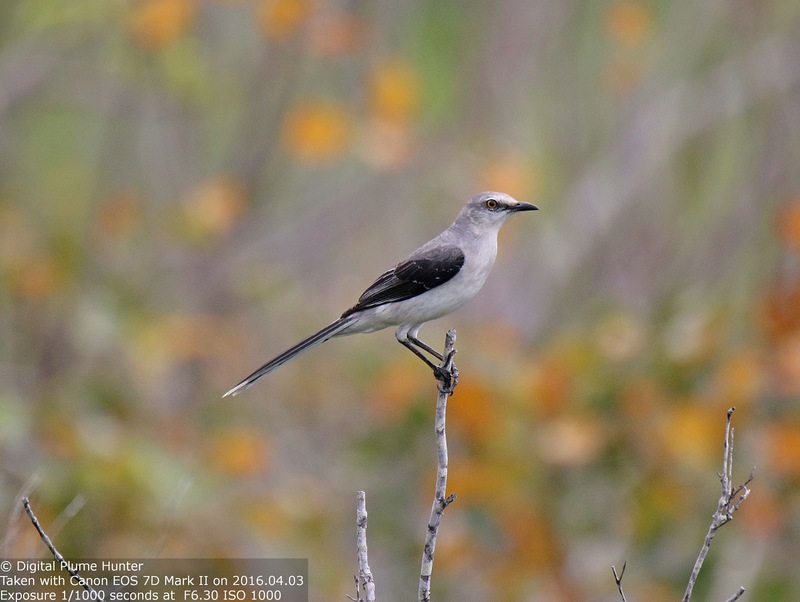 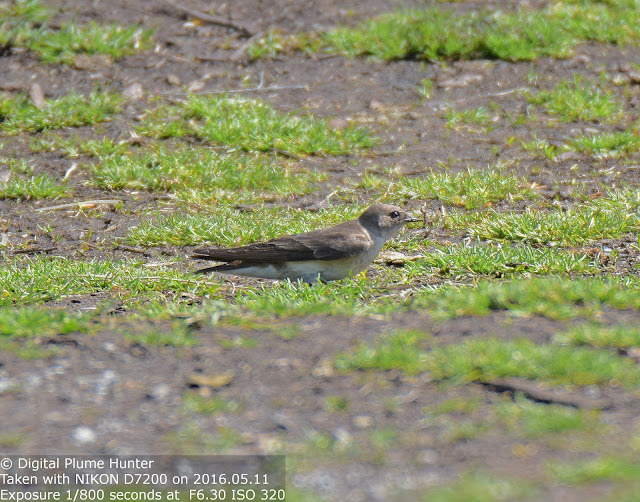 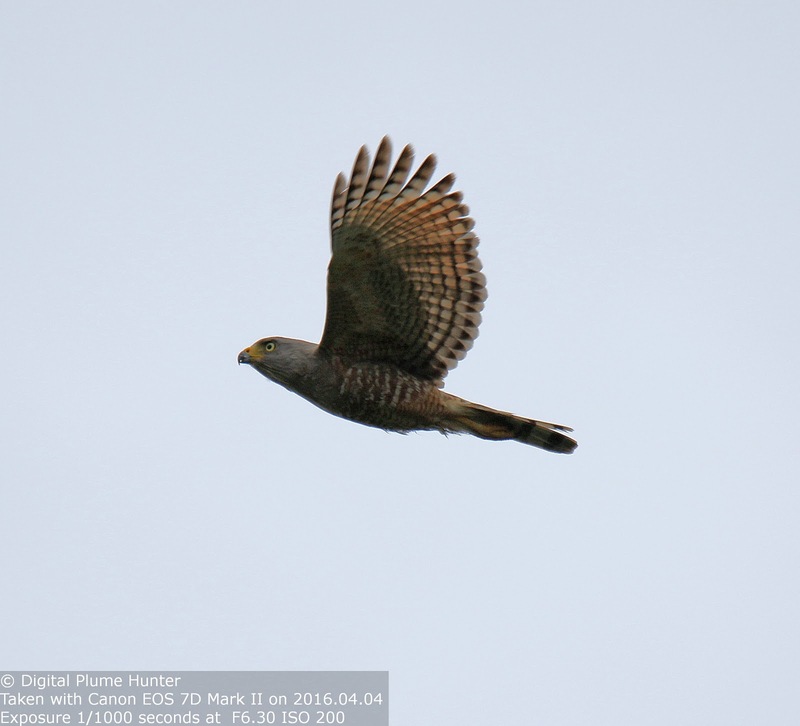 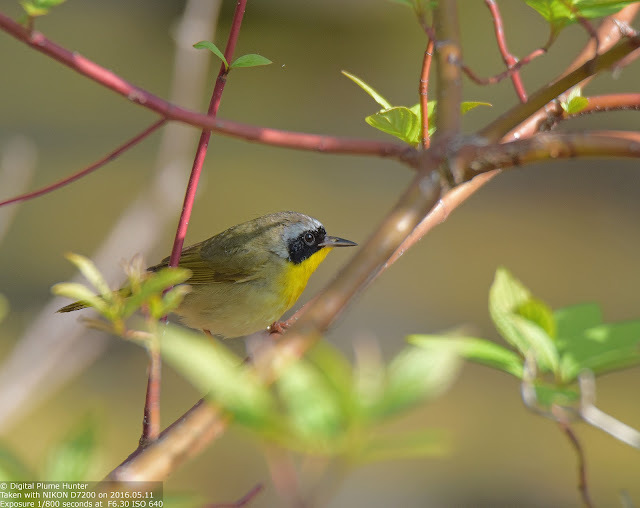 Indeed, the arrival of Spring is almost a sacred event in the annual calendar of birding as it brings the magic of migration to our continent. 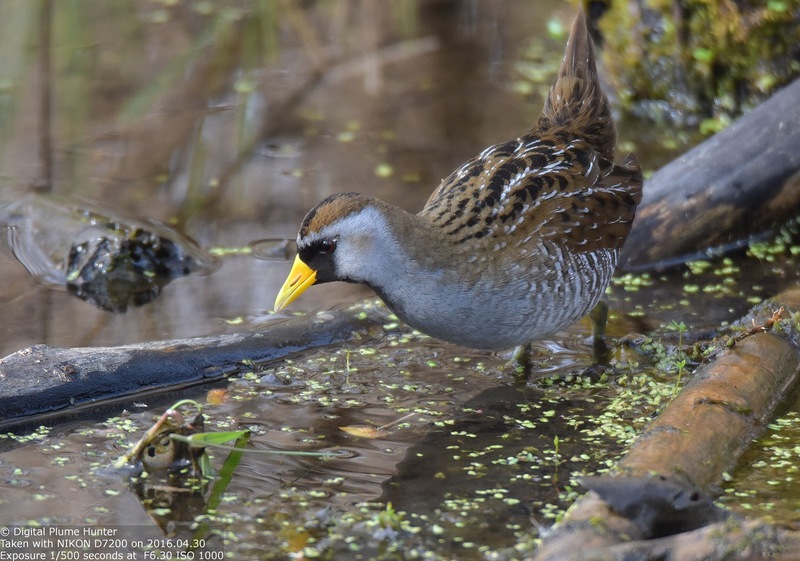 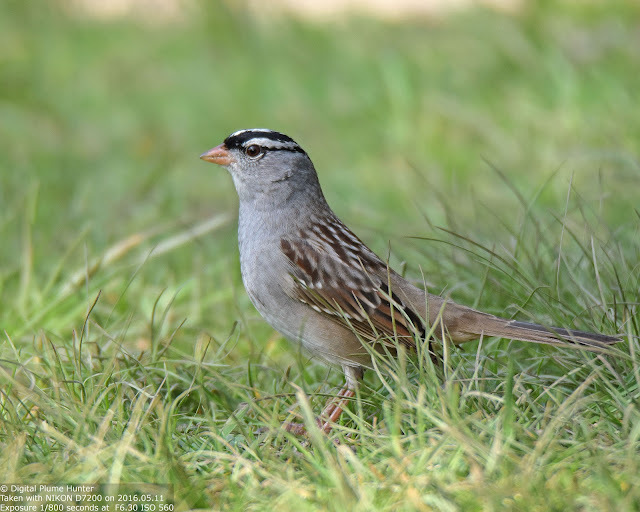 Sora is a tiny rail that can be located by the "whinny" call they make and this particular individual was found in the same way at the edge of the marsh. 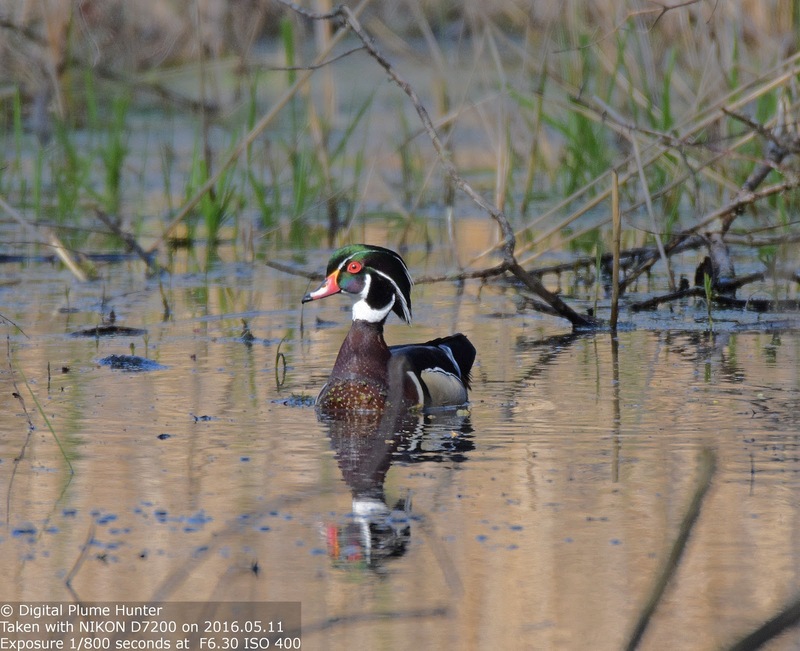 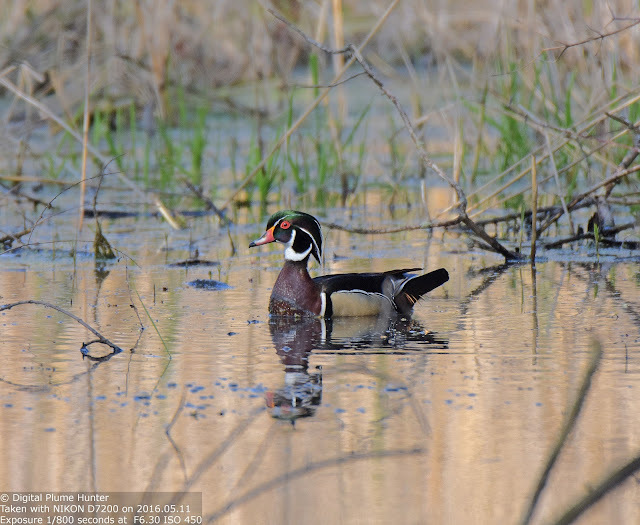 Unlike the Mallards that are ubiquitously conspicuous, the Wood Duck remains reclusive -- confined to the inaccessible interior of the wetlands. 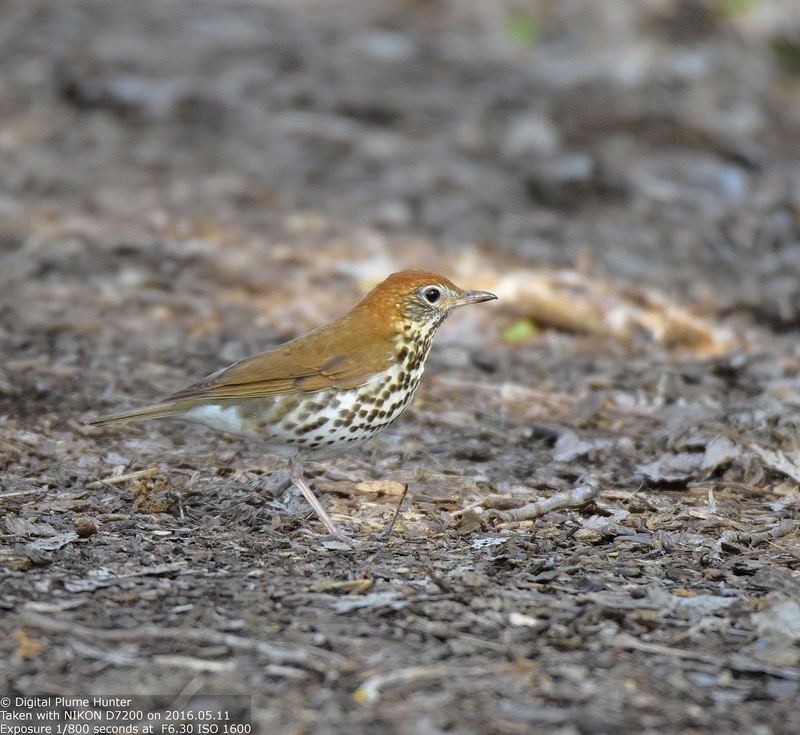 Wood Thrush comes to us every Spring from South America and makes our forests come alive with its hauntingly beautiful song. 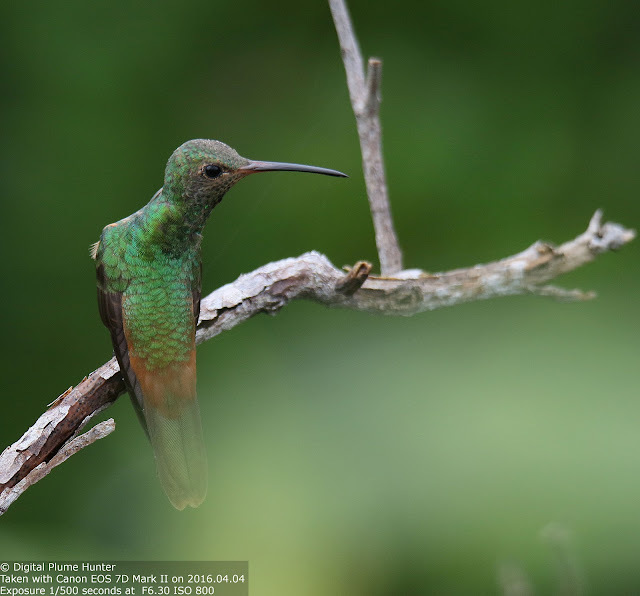 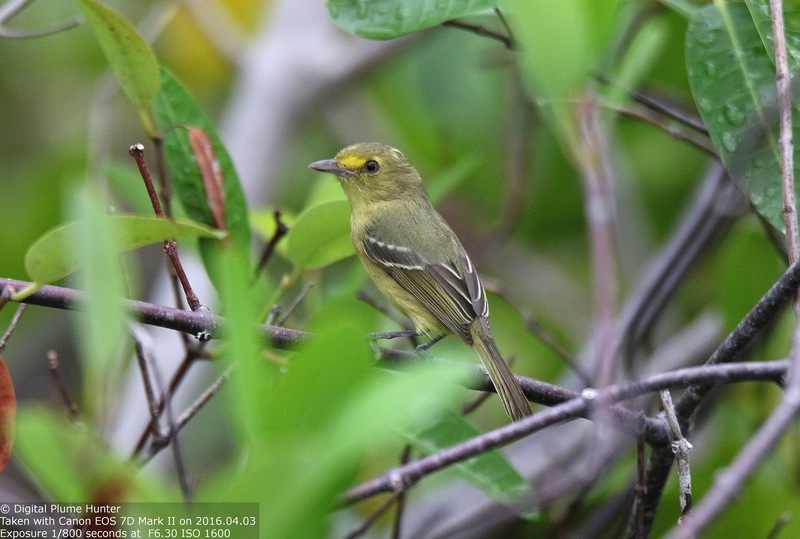 Like many of our neotropical migrants, it crosses the Gulf of Mexico in a single overnight flight. 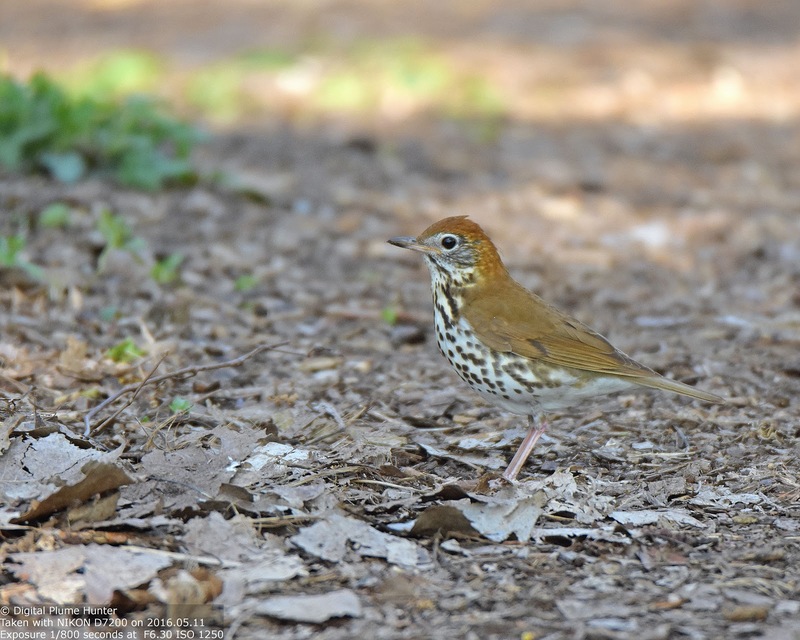 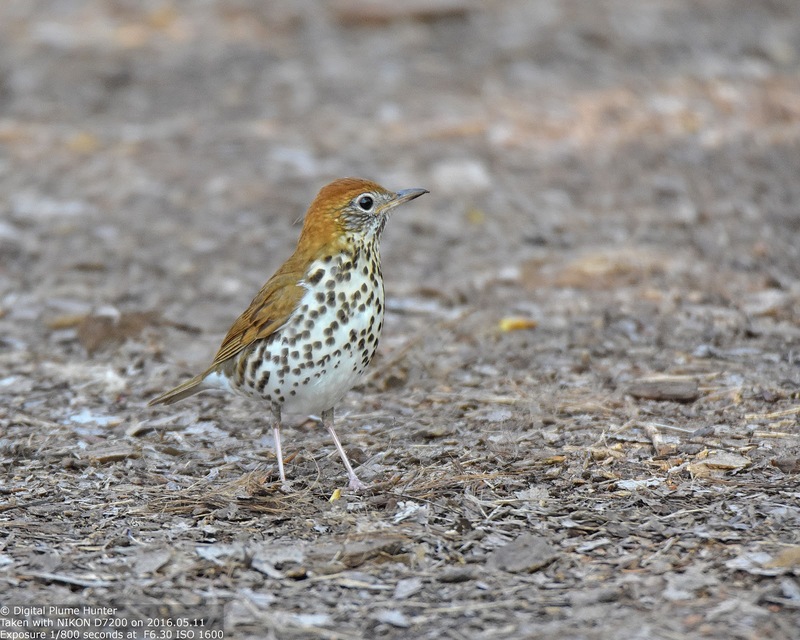 Veery is another thrush from S. America (in this case, Brazil). 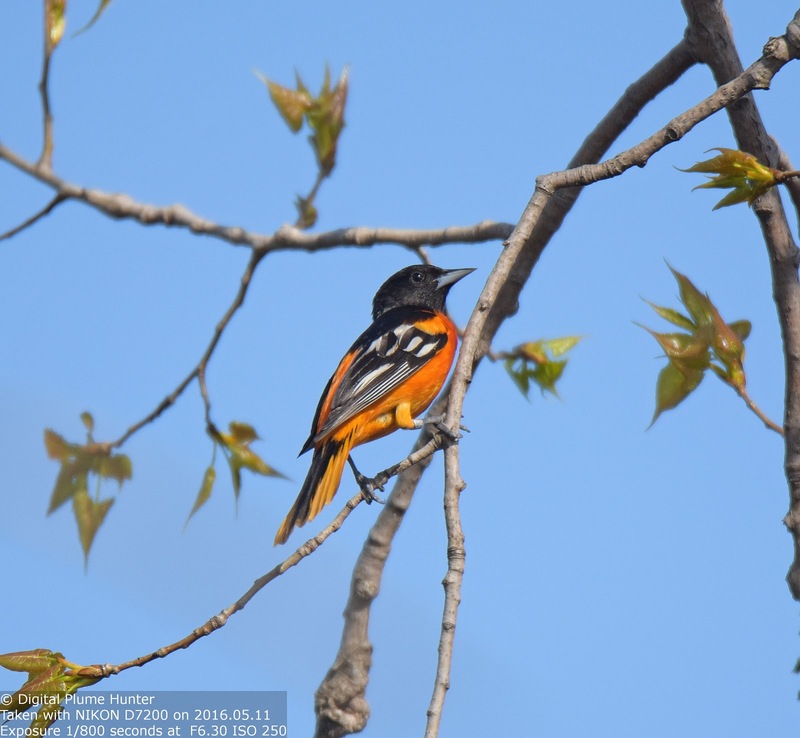 This species will continue to its breeding grounds in Northern Michigan. 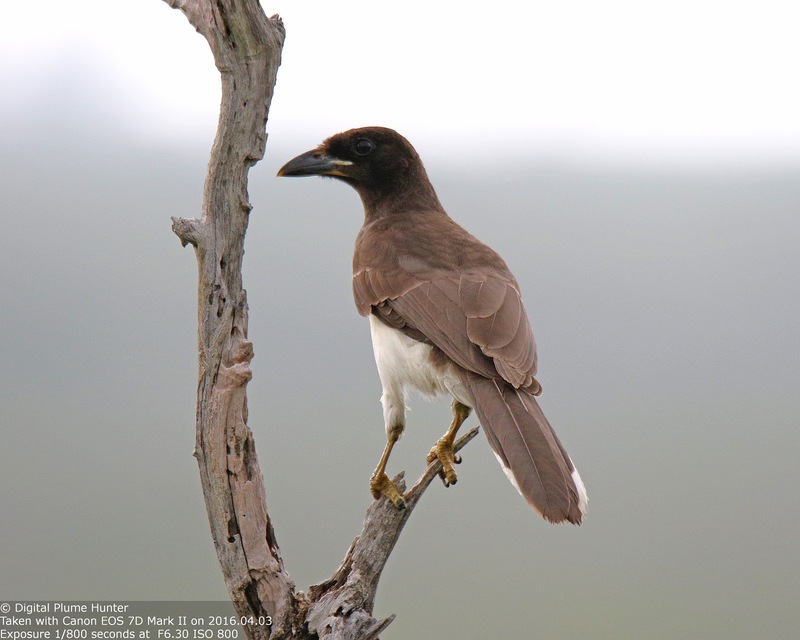 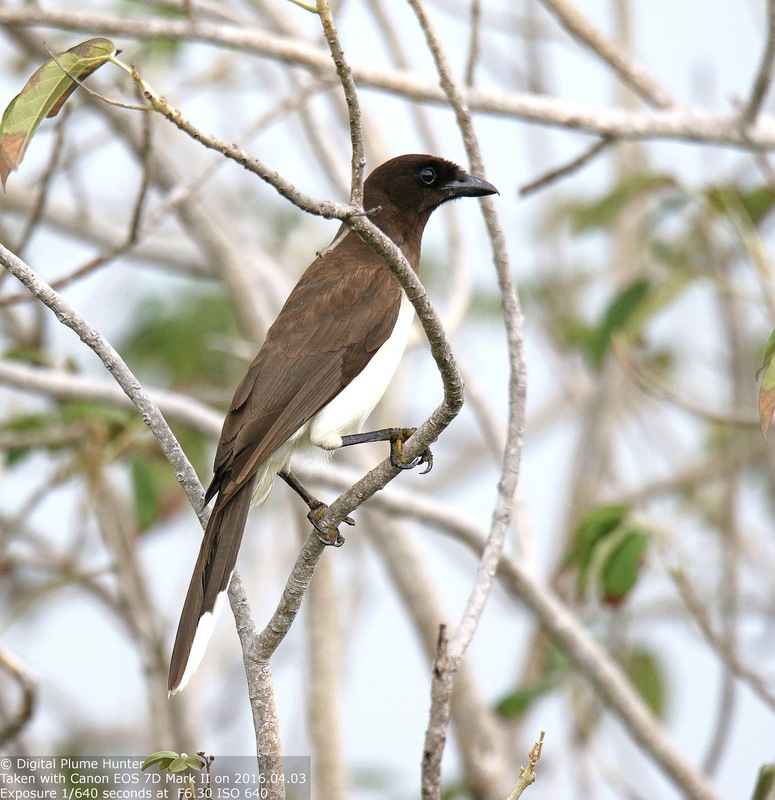 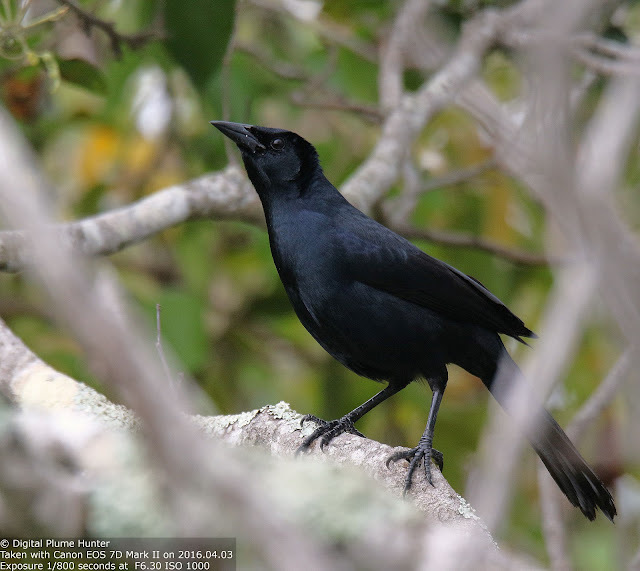 However, note that, compared to the Western Subspecies, the Eastern race has black lores. 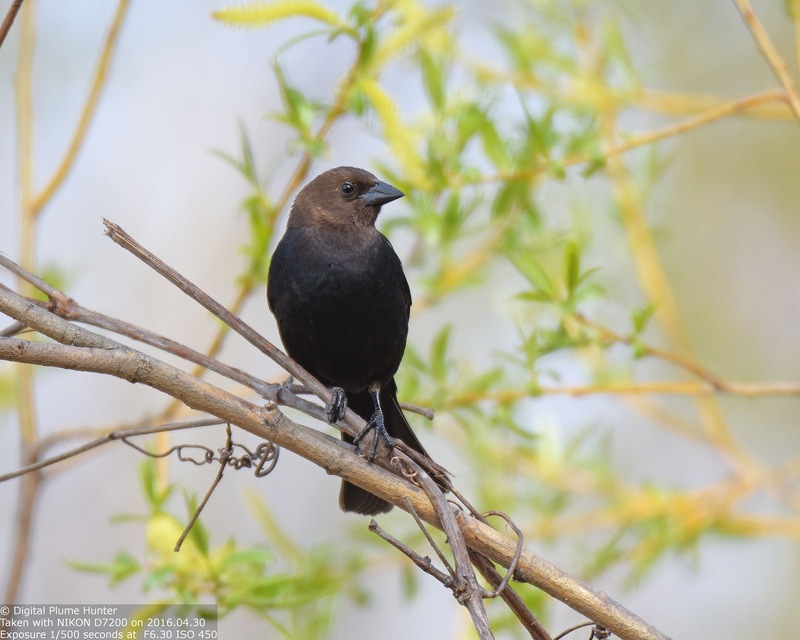 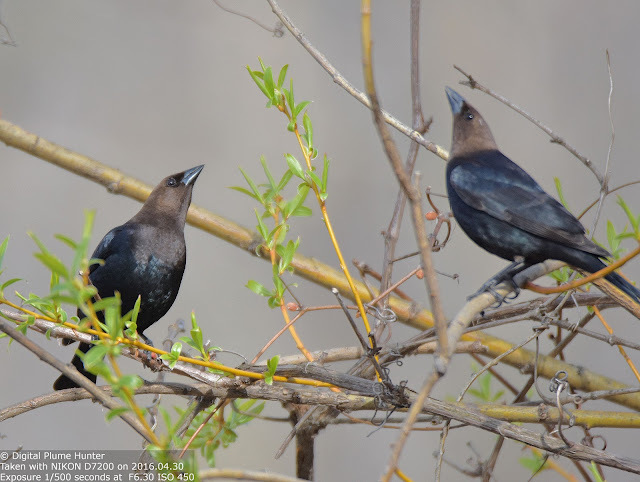 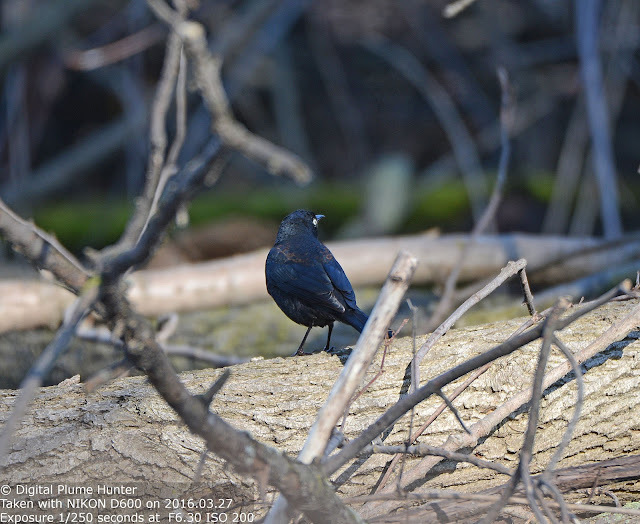 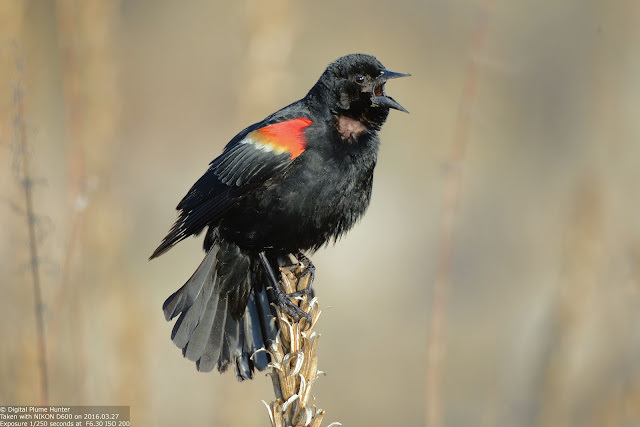 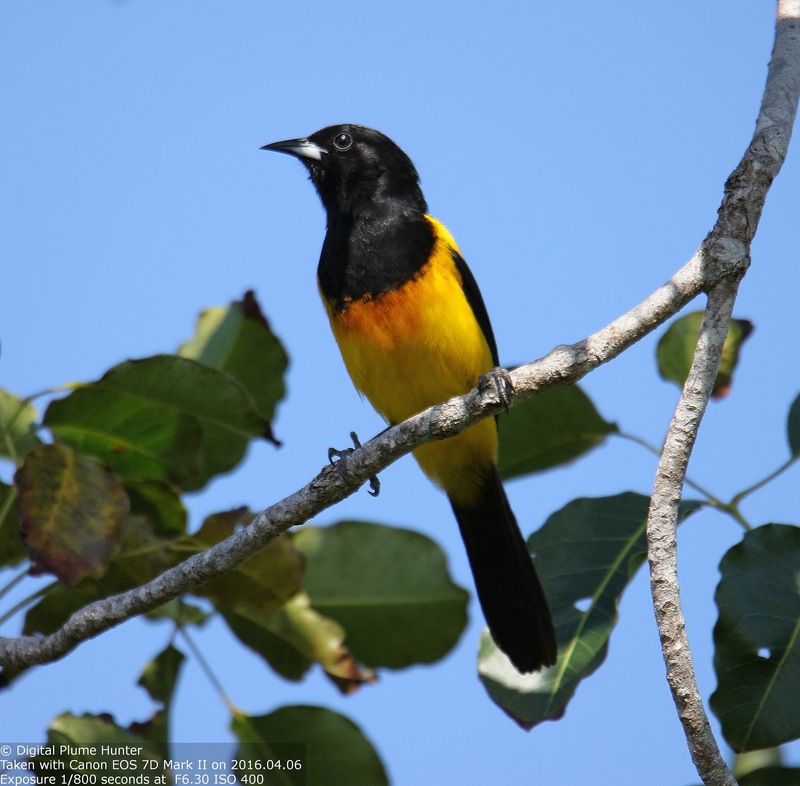 The Icterids or New World Blackbirds are a large family of songbirds including Orioles, Meadowlarks, Blackbirds and Grackles. 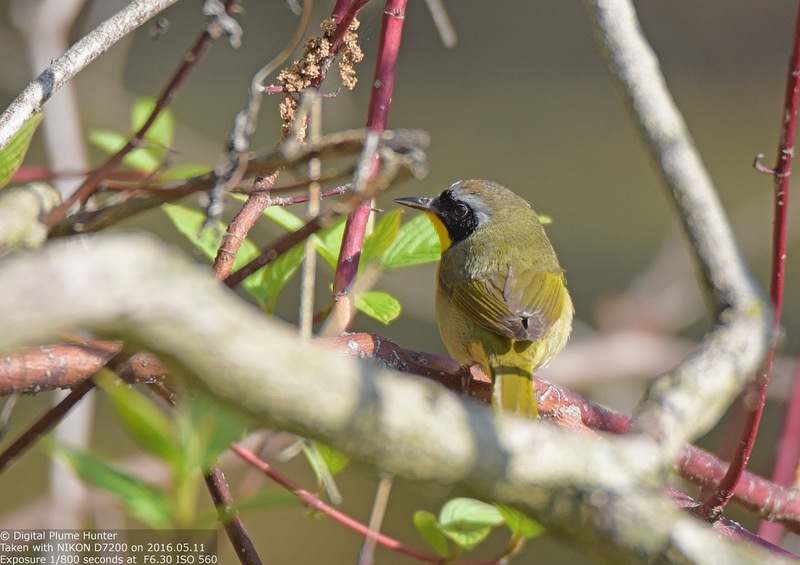 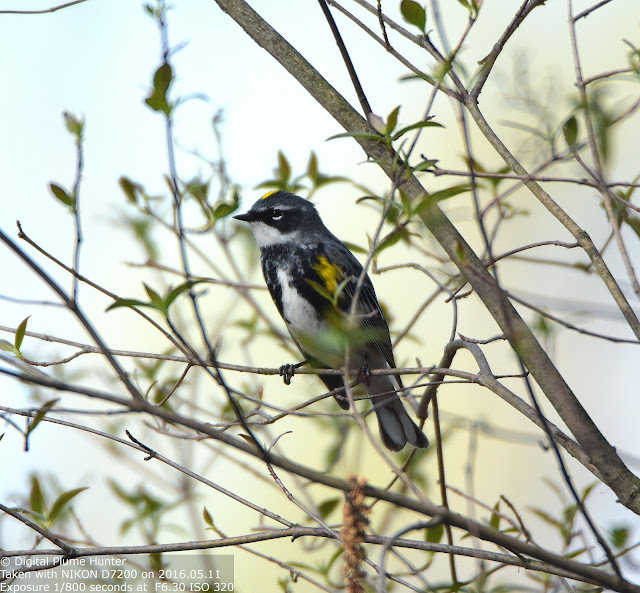 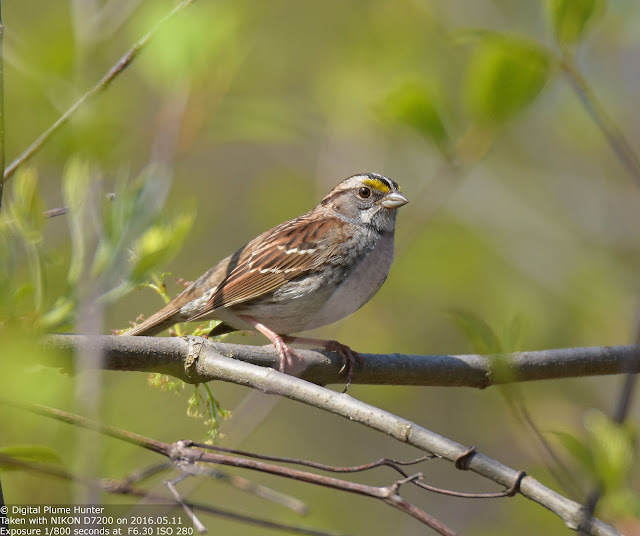 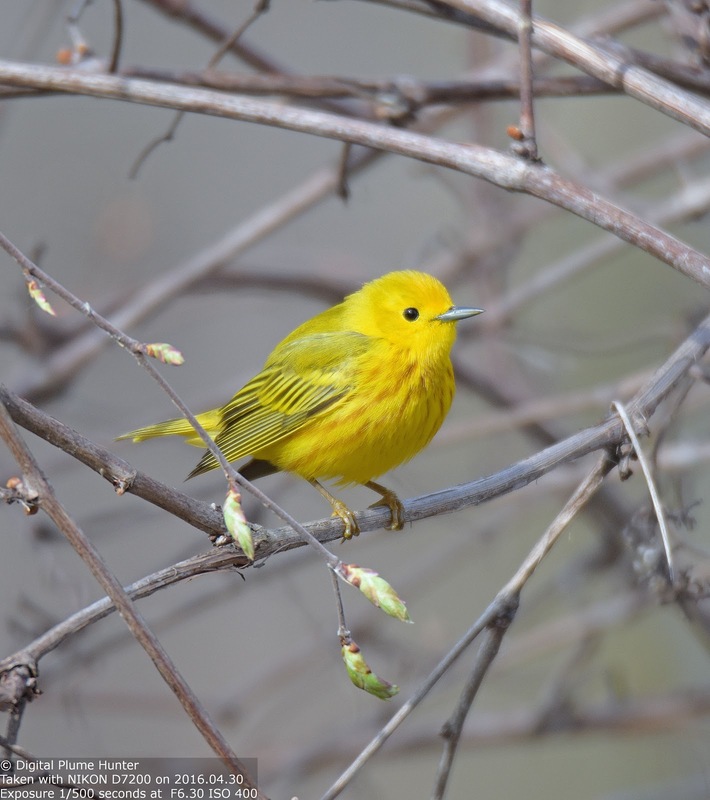 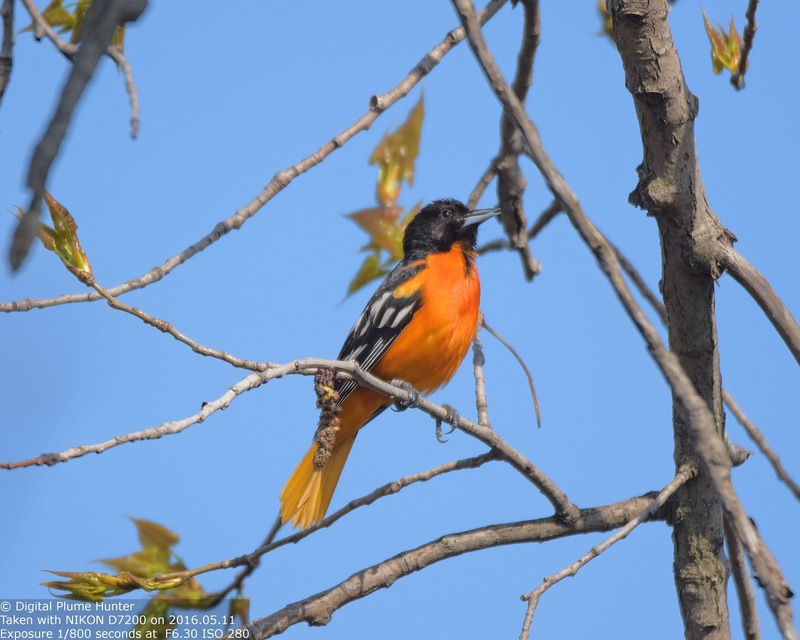 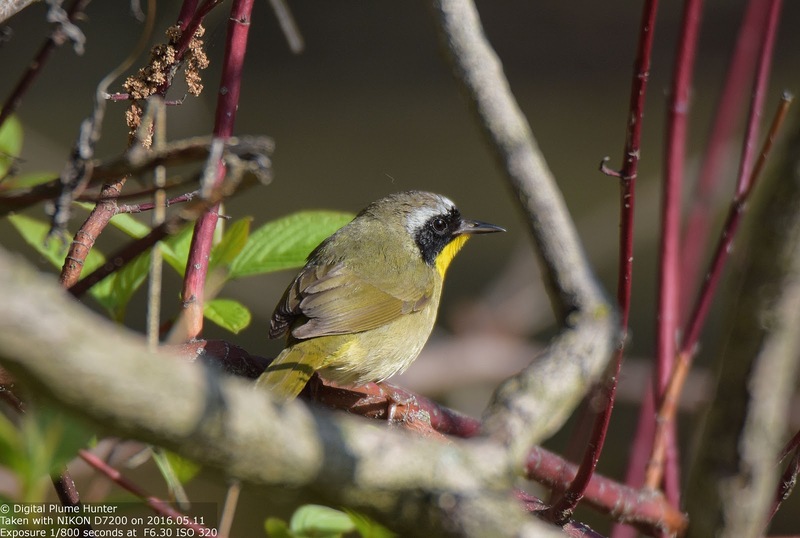 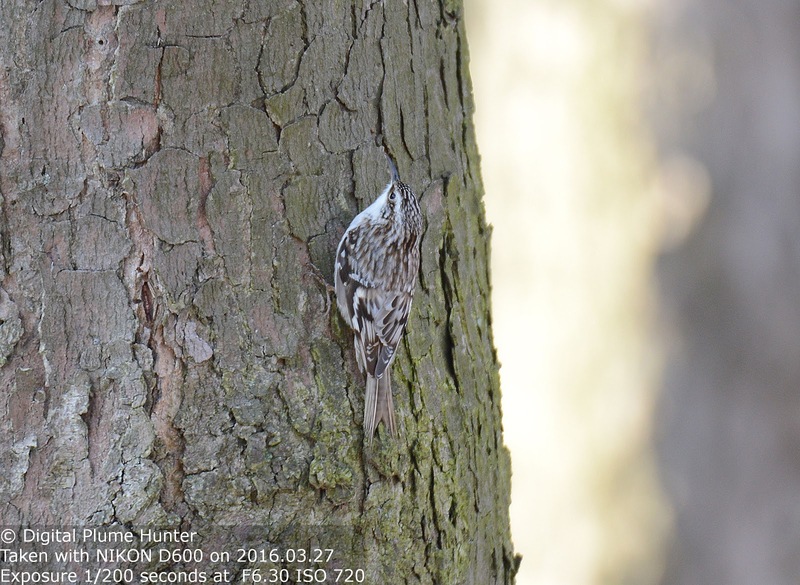 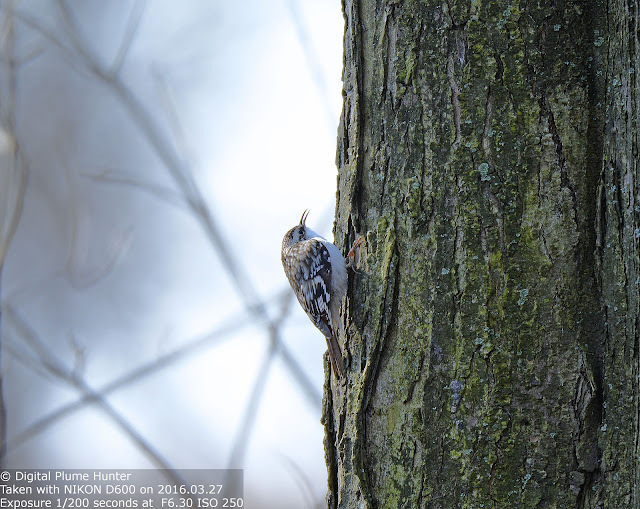 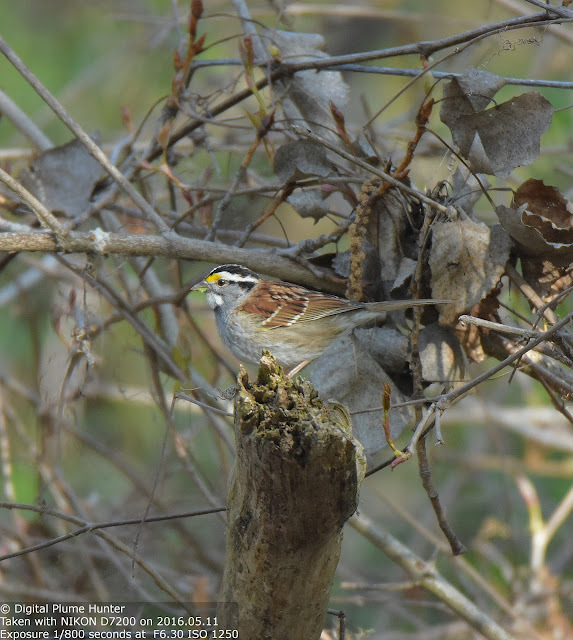 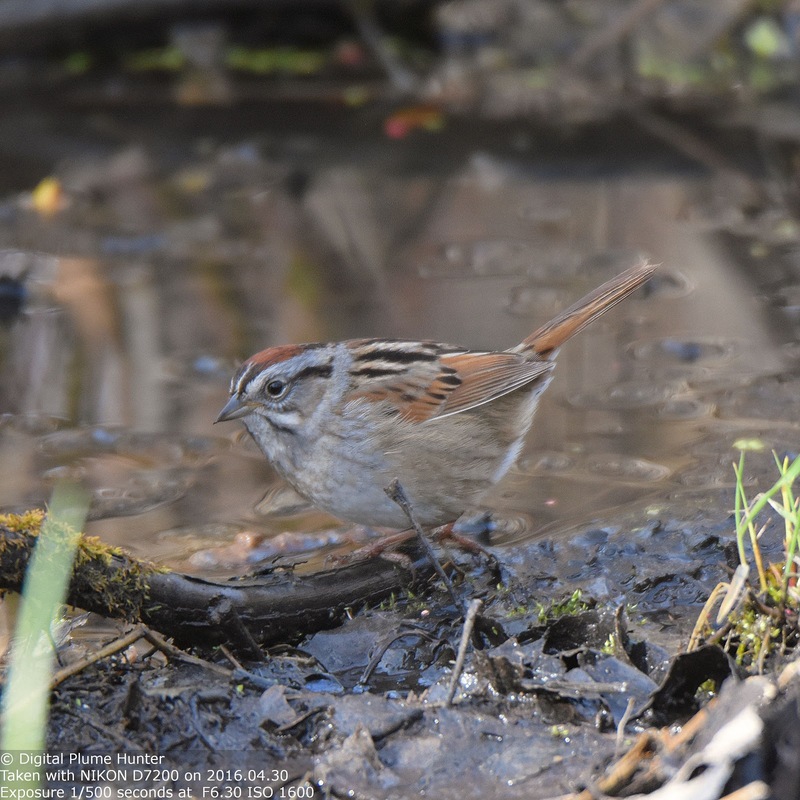 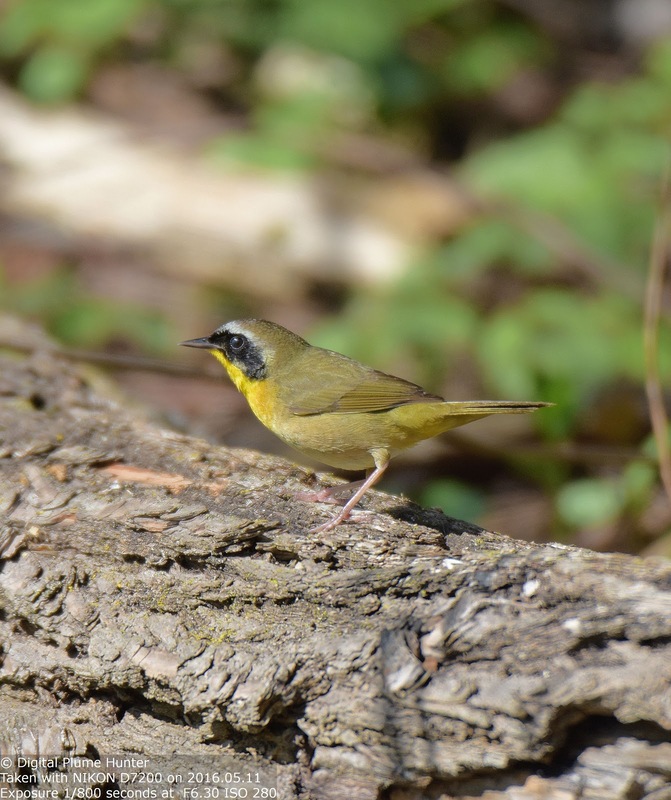 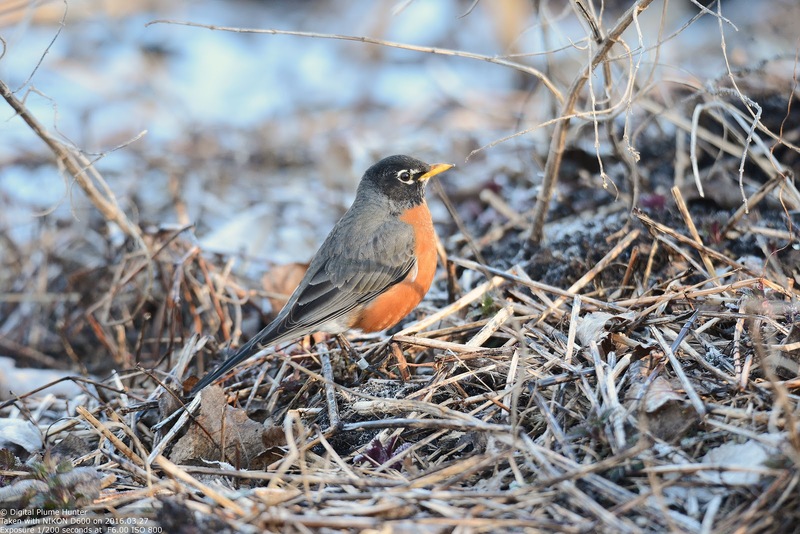 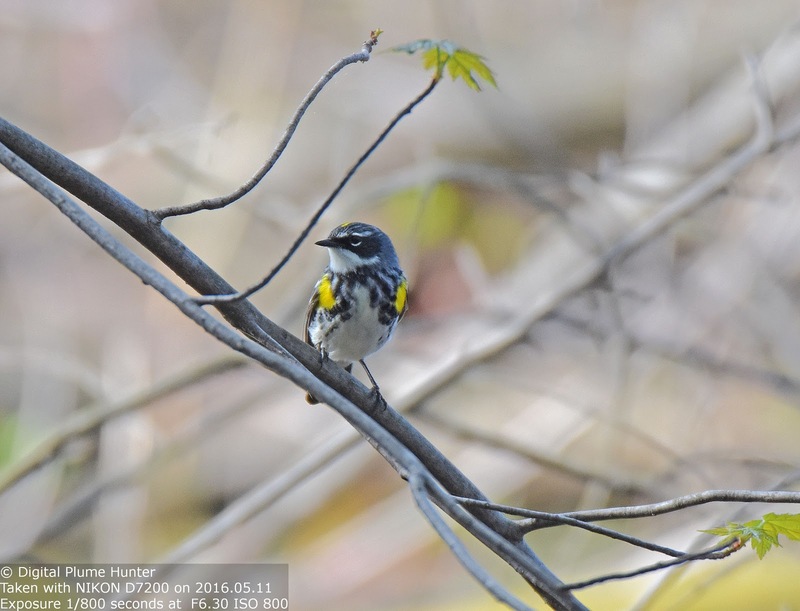 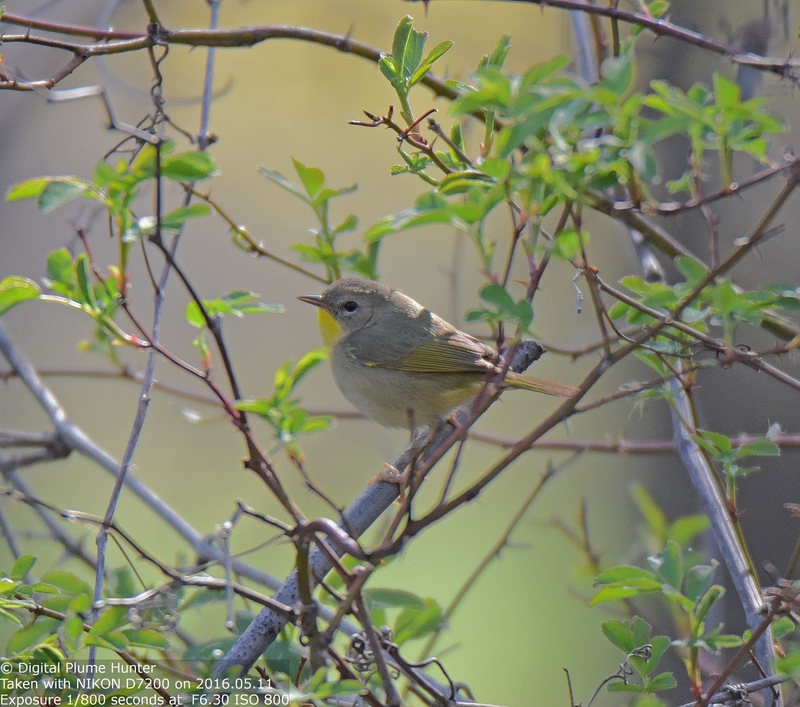 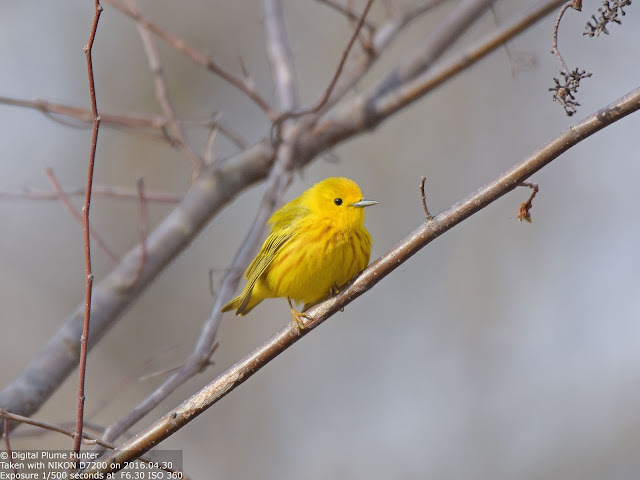 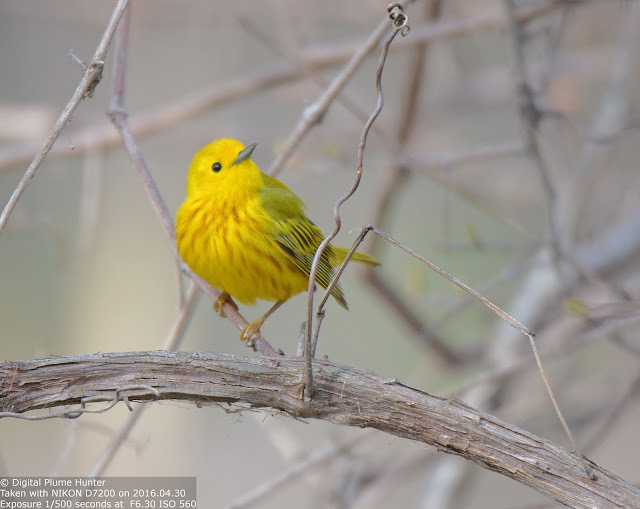 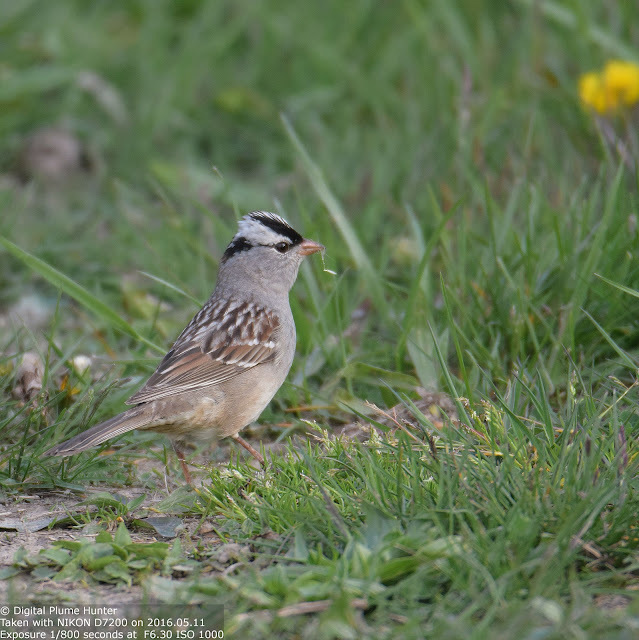 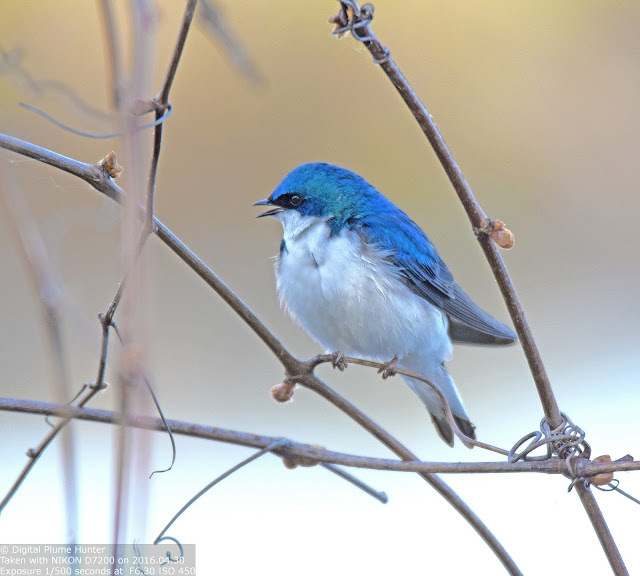 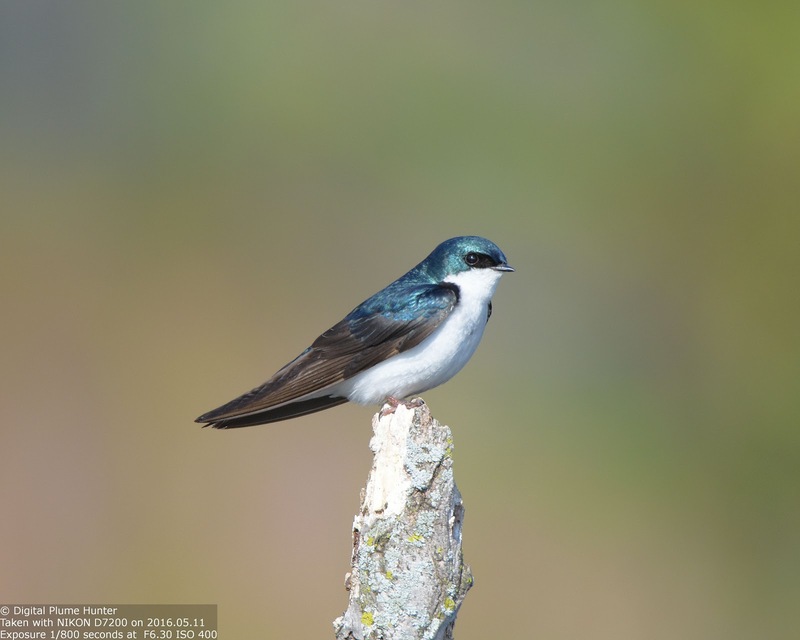 The sheer diversity in species is testament to the varied habitat that can be found at Lake St. Clair Metropark; and, Spring is the magical season that brings out the full richness in the birdlife that can be found here in Southeast Michigan.